by solving complex polymer problems that may be negatively impacting performance. by developing new polymer technology and product platforms, not just single products. by developing new/ improved polymer products faster and with nearly zero defects. by adapting your existing polymer products or technologies for new markets or applications. by incorporating biopolymers and bioplastics in your products or formulations thereby reducing carbon footprint. 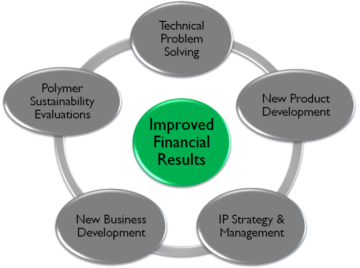 using our proven IP management process and strategy, tailored specifically for polymer companies. Our polymer consultants provide a wide range of consulting services to growth oriented companies that use polymers to gain a competitive advantage. We have a skilled team of polymer consultants with specialties in high performance polymers that are used in formulated products such as adhesives, composites,laminates, prepregs, encapsulants, coatings, filled polymers, and high performance thermoplastics. InnoCentrix has experienced biopolymers and bioplastics consultants, enabling clients to develop bio-based polymers to their product portfolios. Our polymer consultants have extensive technical and management experience leading new product development, new business development, and adding profitable new revenue streams for new or existing products. Contact us if you have a complex polymer problem to solve, a new polymer product to develop, want to explore new market opportunities for your existing polymer technology, or need expert witness services. Our skilled polymer consultants are ready to enable you to grow your business. 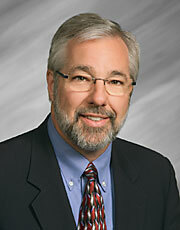 I’m Jeff Gotro and I have a passion for polymers. At InnoCentrix we focus exclusively on polymers. Our ideal client is a growth-oriented company who wants to increase revenues and profits by leveraging their polymer technologies. We provide a wide range of services to enable our clients to grow rapidly. Welcome to InnoCentrix, how can we help you grow your polymer business? Check out my blog where you will discover some of my experiences, tips, and “tricks of the trade” to get more out of your innovation efforts and discuss new trends and technical advances in the polymer industry.